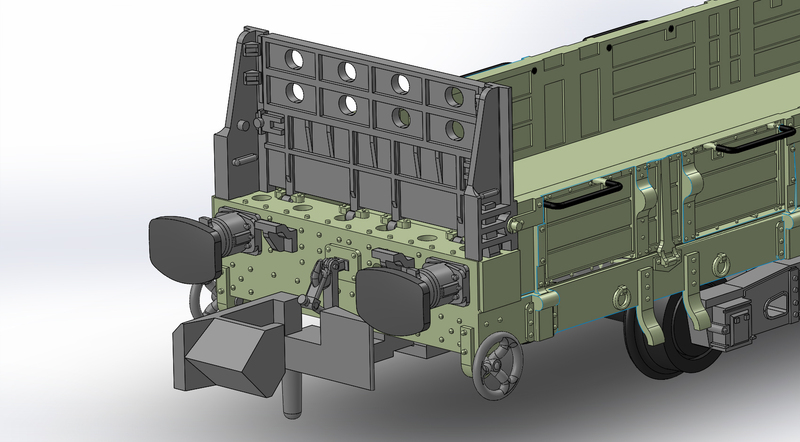 CAD work is almost completed on the forthcoming Revolution Trains Sturgeon engineers wagon. Versions with and without the dropside doors are being offered. When delivered some had four bodyside doors, but the majority were fitted with seven. These were completely removable, and in use many wagons ended up permanently separated from their doors! 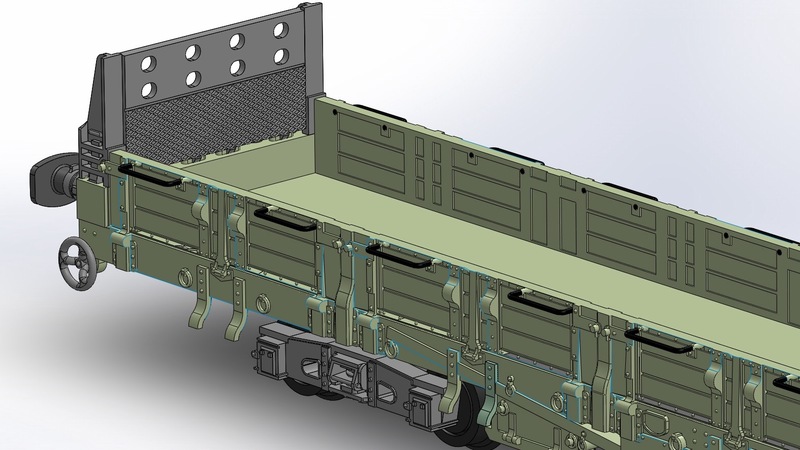 The upper end section is also demountable, and on version without doors this will be removable. A minor adjustment is still needed to the inside panelling, then the model will be ready for tooling. As with all our models, the underside has not been neglected. Some Sturgeons were fitted with air brakes and recoded “Tench” and we are offering this too. 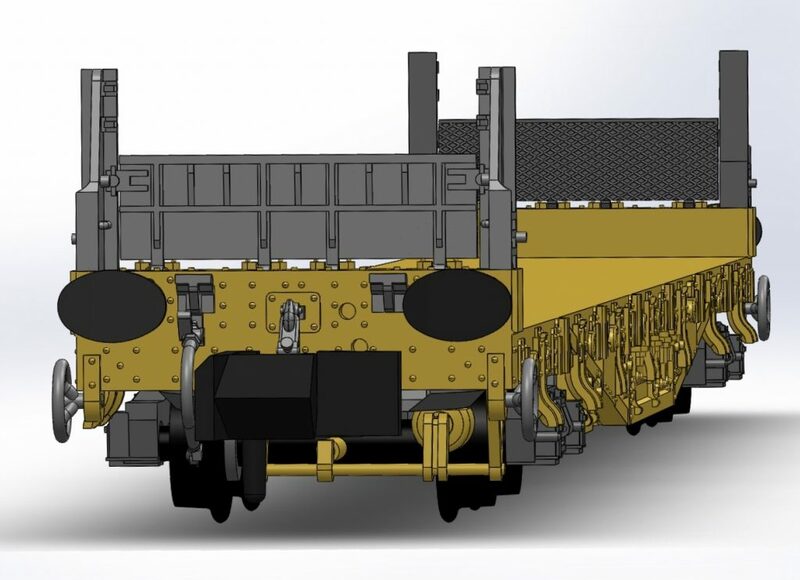 Once final CAD amendments are made we will be opening the order book; the sooner customers order these models the sooner we can begin tooling and commence delivery of these interesting, useful and imposing wagons for your collection.